This shelving unit offers a great way for you to display your favourite ornaments and possessions. Black metal frame with metallic copper shelves, fabulous and funky. Fantastic minimalist design that combines modern, art deco and boho into one great piece. This is a shelf that will easily fit into a modern or vintage interior. 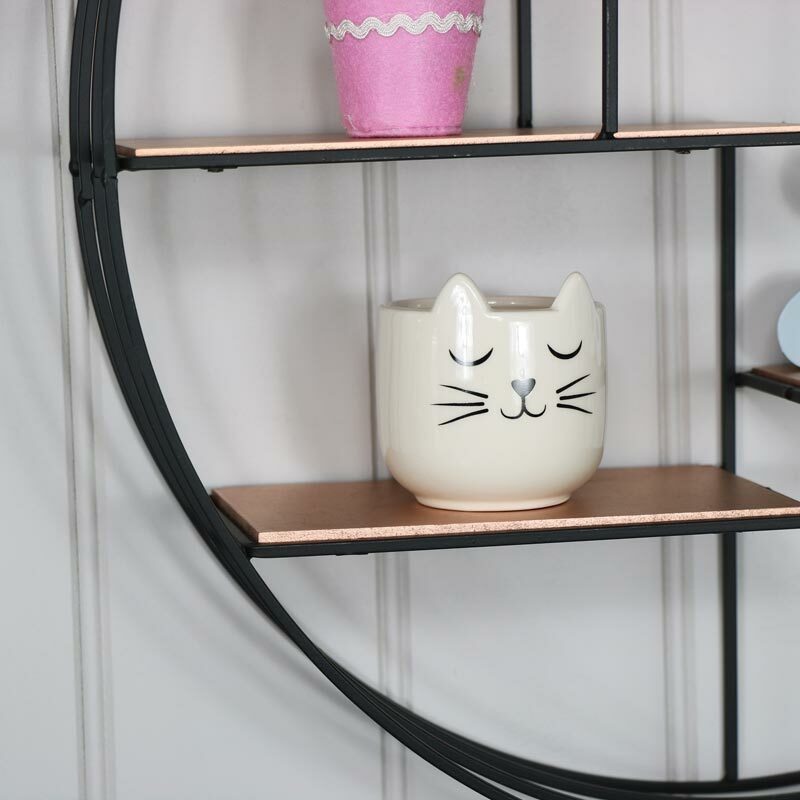 With 4 copper colour shelves for displaying ornaments and plants, this is not only practical but incredibly stylish too. This shelving unit offers a great way for you to display your favourite ornaments and possessions. Black metal frame with metallic copper shelves, fabulous and funky. Fantastic minimalist design that combines modern, art deco and boho into one great piece. This is a shelf that will easily fit into a modern or vintage interior. With 4 copper colour shelves for displaying ornaments and plants, this is not only practical but incredibly stylish too. Wire metal wall shelves painted black with metallic gold shelves. This shelving unit is fully assembled in a lightweight design and easily wall mounted to 2 holes on the back for wall hanging. 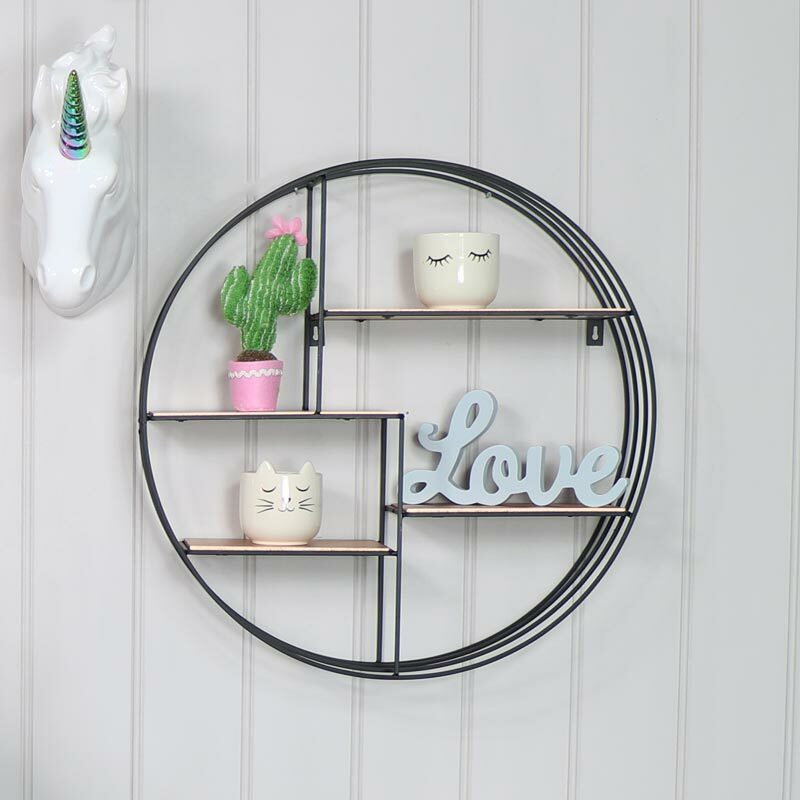 Create a unique interior that allows your personality shine through with our fantastic range of shelves. With so many styles to choose from in a wide choice of sizes and colours.